Grab your love and Hang Loose with us at City BBQ in Centerville on February 11th. Each painter will receive $10 dinner voucher, upon check in. You may choose to use this voucher the evening of our paint party, or save it for a future visit to City BBQ. (PLEASE ARRIVE BETWEEN 5:30 PM - 6 PM IF YOU PLAN TO DINE IN). After our yummy dinner, we will begin painting at 6:30 PM. Each painter will receive a 16" x 20" canvas and all supplies needed to create their individualized painting. We will spend 2 hours blending colors, creating texture, and learning simple ways to create a variety of different shaped birds. This class is great for beginners, and for those who "can't paint" -trust us, we've got you! 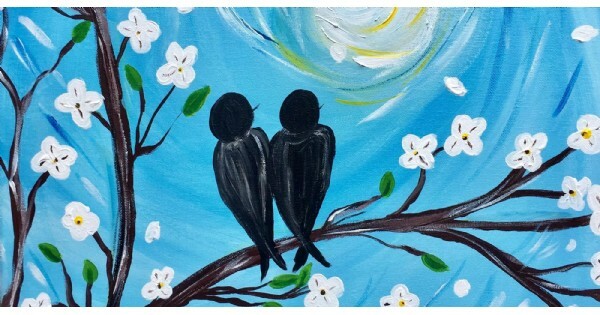 Find more events like "Love Birds - Dine and Paint at City BBQ"
City Barbeque was born as an invitation to all the people in the city to enjoy great Barbeque- America's food.